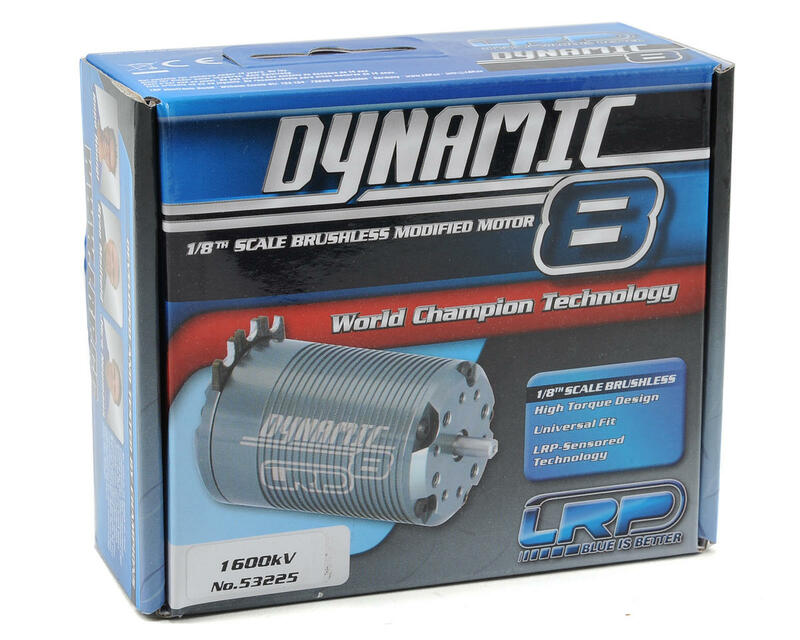 This is the LRP Dynamic 8, 1600kV Competition 1/8th Scale Brushless Motor. The LRP development team designed the Dynamic 8 motors with one goal in mind: satisfy the needs of 1/8 electric racers. The Dynamic 8 Brushless has been developed completely from scratch. 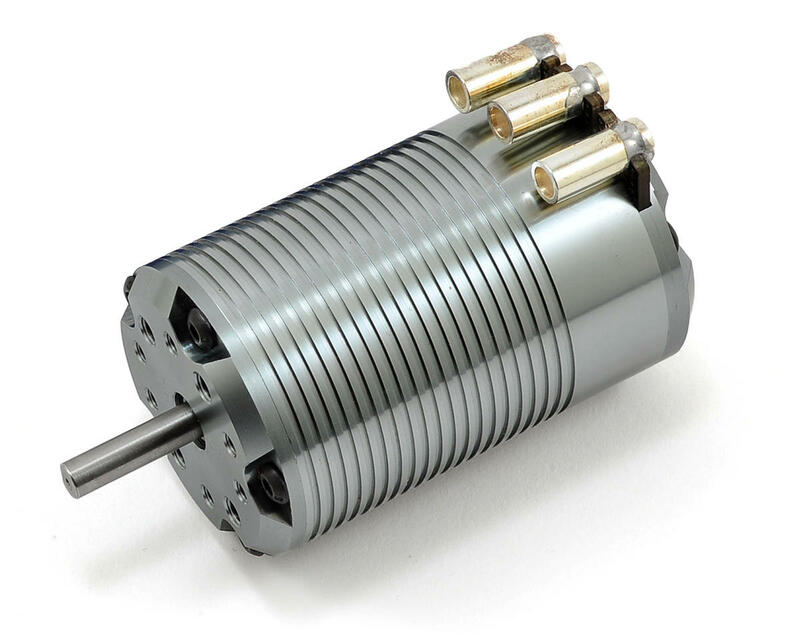 An important aspect of its design is the innovative multi-slot winding, resulting in extremely high torque. Can it get better? 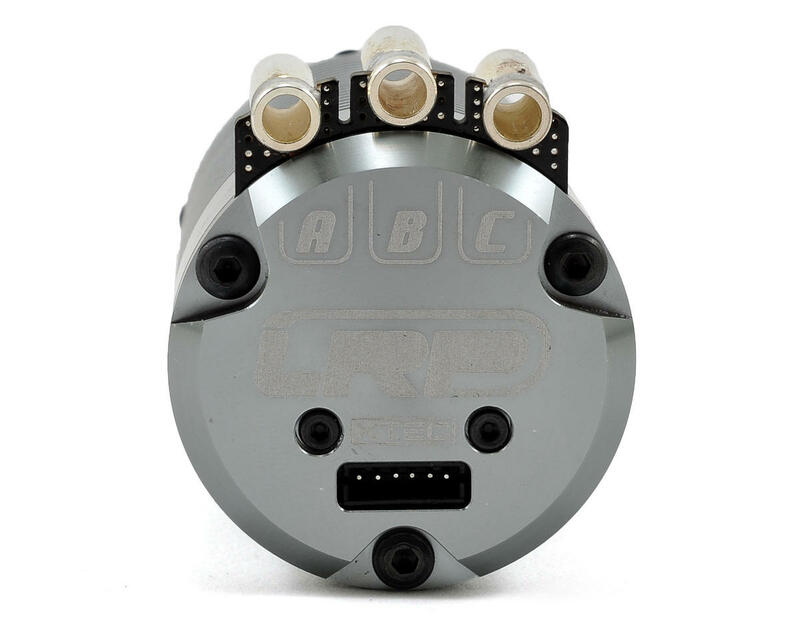 Due to the higher efficiency over the entire rpm range, high speeds and long runtimes are easily achieved. In other words: less power is lost to heat and more power reaches the drive shafts. The Dynamic 8 delivers great performance, robust and universal construction, as well as its easy handling and installation. In addition, it features high torque and optimum efficiency at the same time.